Naturopath, Peat Hyperthermia Detox Therapy, Colonic Hydrotherapist, Quantum Avalon LED Therapist, Quantum SCIO, InterX 5002 therapist, Dietary Therapist based in Oxfordshire UK, near Warwickshire, Northamptonshire & Bucks. Since qualifying in 1992 I have been using a combination of therapies to support the myriad of health problems that beset us and mar our daily lives. I specialise in looking at underlying causes that may have led to digestive disturbance, lack of energy, physical discomfort, and long term illnesses and injuries. These disturbances may eventually lead to medical conditions such as Irritable Bowel syndrome (IBS), Chronic Fatigue Syndrome and Arthritis. 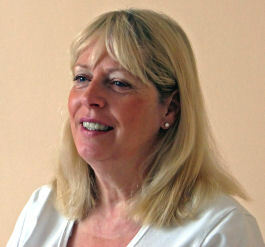 I specialise in looking at these underlying causes and assisting in bringing the body back into balance using therapies including Naturopathy, dietary advice, Colonic Hydrotherapy also known as Colonic Irrigation, Peat Hyperthermia Treatment, Avalon LED Therapy and the following Bio-feedback systems: SCENAR/InterX therapy and Quantum SCIO, formerly EPFX. You are an individual and your needs will be individual. Let me help you feel alive and well again by working with you on a one-to-one basis towards an integral health programme designed to suit your needs and within your budget. Initially, I trained in Dietary Healing and Colonic Hydrotherapy/Irrigation in 1992. From there I studied with a German-trained Naturopath specialising in gastrointestinal discomfort and then with an American Naturopath whose speciality was supporting the endocrine system and release of hormones including supporting Menopause and Polycystic Ovary Syndrome (PCOS). In 1999 I gained a Naturopathic Degree (ND) from the London College of Naturopathic Medicine and Health Science. Subsequent training in 2002 included Bio-feedback SCENAR/InterX therapy with Dr. Zulia Valeyeva-Frost, the leading Russian practitioner in the UK. Impressed by this technology, I further trained in Quantum SCIO, formerly EPFX, with Penny Fox ND at the International Academy for Quantum Training in the UK. Penny Fox was one of the first worldwide trainers to work closely with Professor William C Nelson, the originator of this machine. In 2011 the Wellness Tree Group brought Avalon LED Therapy to this country and as a Naturopath I was able to offer this NASAR researched therapy. In 2012 I and my husband Brian James trained with Dr Zayd Ratansi in Peat Hyperthermia Detox Therapy and both received diplomas. We are now offering this re-generating experience at our practice. In 2013 I qualified to train Avalon LED Therapy to Therapists, details of this of can be found on the Avalon Therapist Training button on this page. If you would like more information, or are interested in receiving support from one or more of the therapies available at the Clinic, please get in touch to arrange a consultation. Legal Medical Disclaimer: Information and statements made on this website and all our associated literature are for educational purposes only and are not intended to diagnose, treat, cure or prevent any disease. The practitioners of Natural Wellbeing Clinic do not dispense medical advice, prescribe restricted medicines, or diagnose disease. If you have a medical condition, we recommend that you consult your physician of choice. This web site contains links to web sites operated by other parties. Such links are provided for your convenience and reference only. We are not responsible for the content or products of any linked site or any link contained in a linked site.